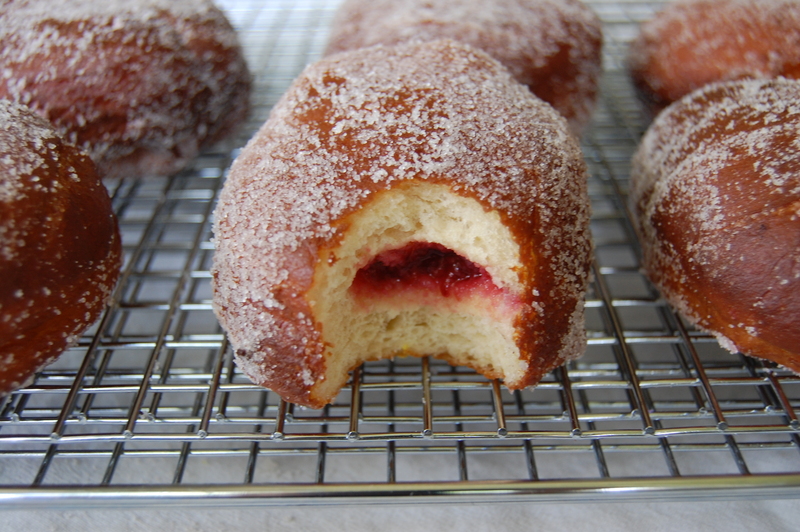 i don’t understand the whole baked doughnut craze. they’re healthier, i guess. they take forty-five minutes to make as opposed to three hours. 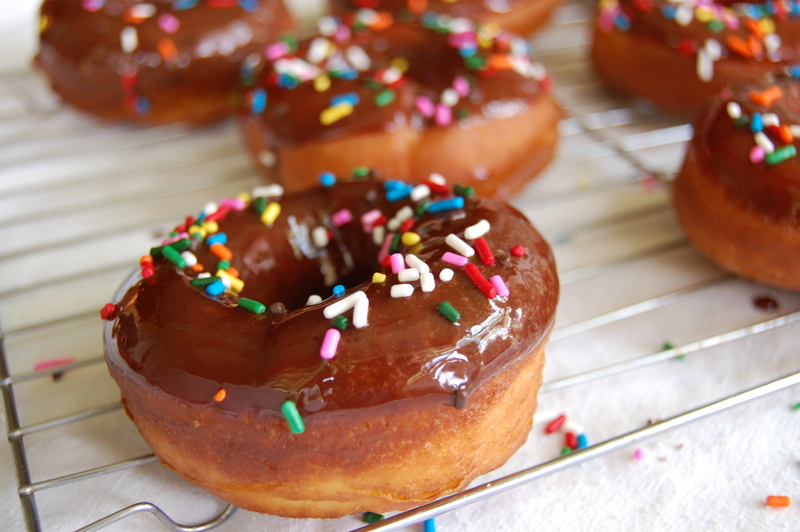 but to me, the word “doughnut” connotes something golden and fluffy and fried. something that feels weighty and substantial when you pick it up, and delightfully indulgent when you take a bite. i saw these recipes by mark bittman in the new york times a few months ago, and i haven’t been able to get them out of my head. 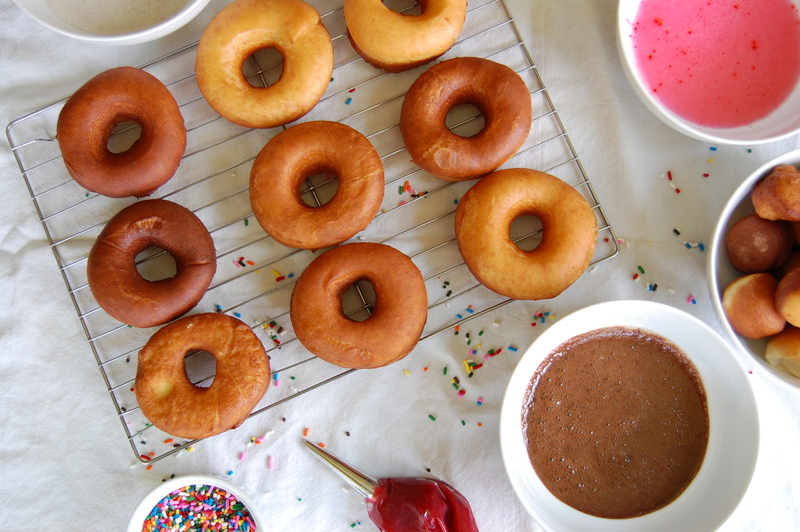 doughnut shops are almost as common as mcdonald’s at this point, but making these will leave you with major bragging rights and the freedom to go crazy with glazes and fillings. using a wine glass and the larger end of an icing tip to cut them out is perfectly acceptable. two quarts of oil is a lot: go to costco. 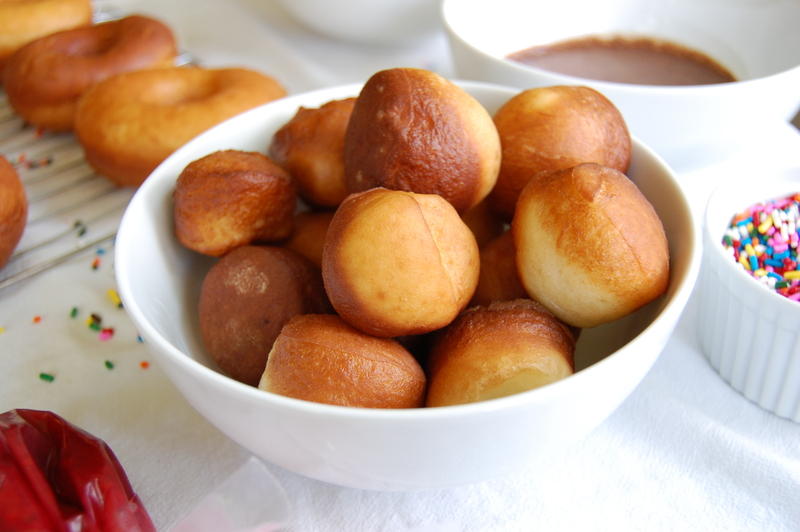 save the extra dough scraps and make doughnut holes (i dusted mine with superfine sugar)! DO NOT walk away while frying these. they will burn. 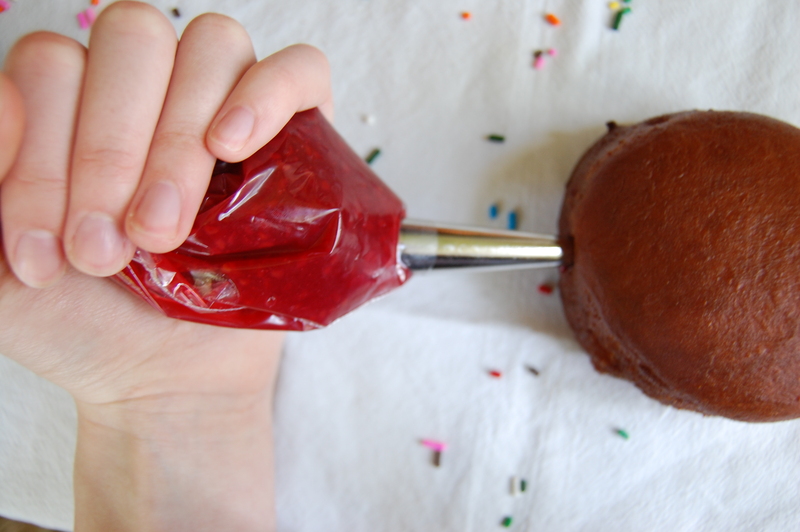 make a chocolate glaze by mixing a cup of powdered sugar, two tbsp of cocoa powder, 2 tbsp of milk, and some vanilla. totally agree! went to fonuts in la; they do steamed/baked donuts, and the flavors were great but the texture was muffin-like (fine, but not if i’m expecting a DONUT).